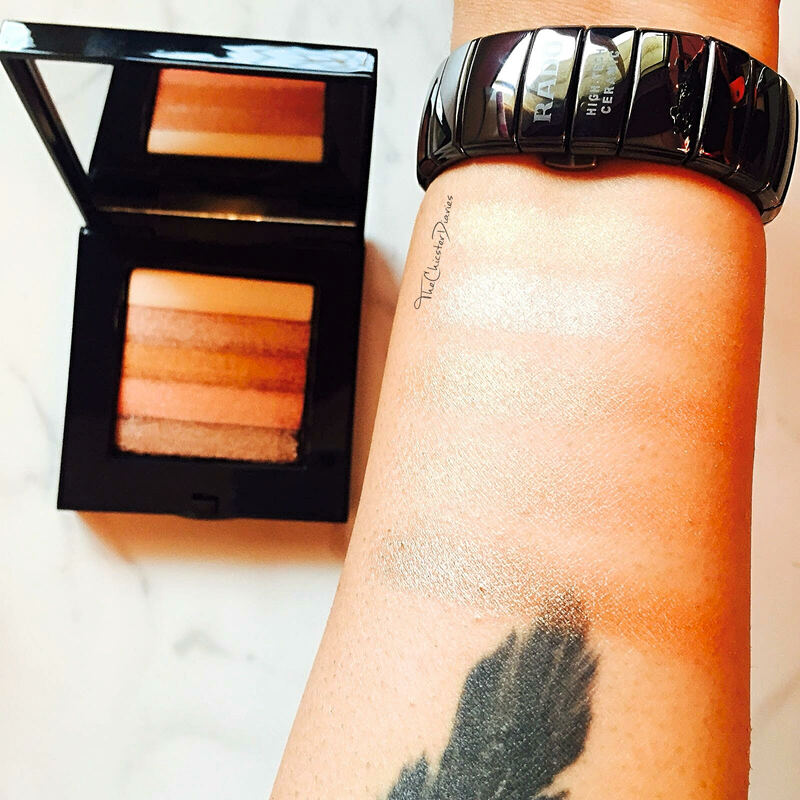 Claims: The original Shimmer Brick Compact. This shimmering, brush-on powder creates a deep, bronzy glow. 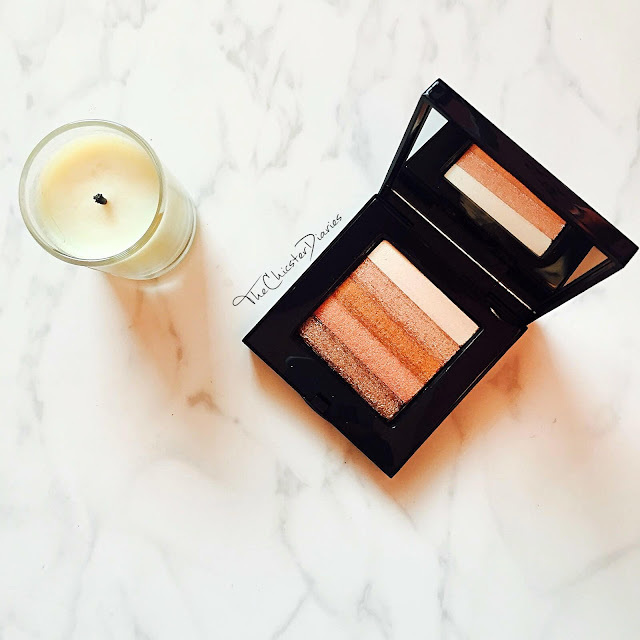 Handmade in Italy, this compact features superfine pigments that reflect radiance and light. Sweep the Face Blender Brush (sold separately) through all five shades of the Shimmer Brick Compact and dust lightly on cheekbones after Blush. Focus on applying shimmer on the top of cheekbones—where light naturally hits the face—for the most flattering look. An iconic highlighter that instantly delivers soft-focus, lit-from-within color with a flattering combination of pale, golden, and rosy pinks. 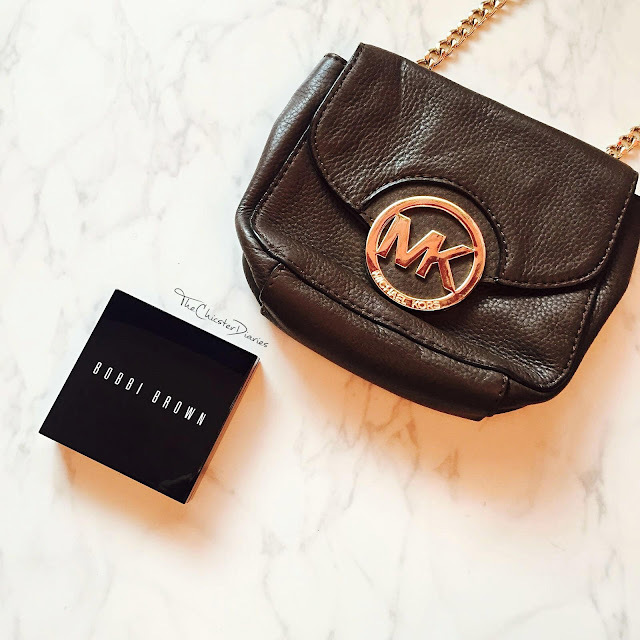 Achieve a glowing hint of shimmer with Bobbi Brown’s Shimmer Brick. 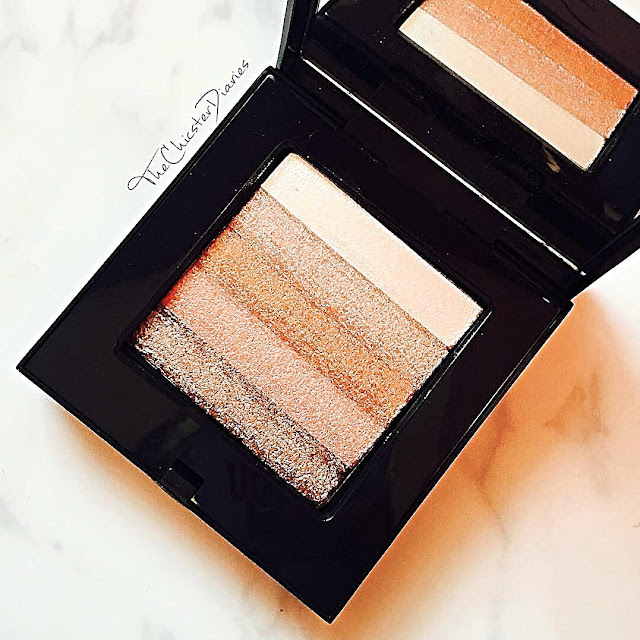 This compact features five shades infused with superfine pigments that reflect radiance and light. Just dust all five shades lightly on the top of cheekbones where the light hits your face. 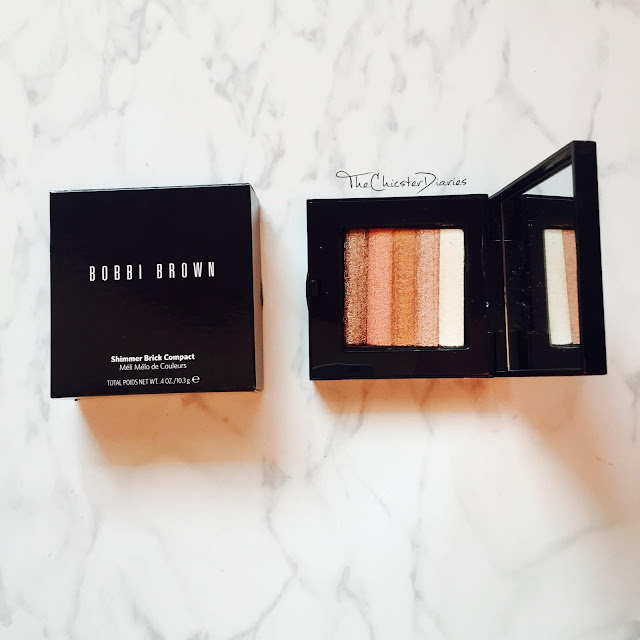 The Bobbi Brown Shimmer Brick is a palette of 5 complementing strips of shimmer that follow a gradient pattern of bronze. The product comes in a glossy black, square packaging and a mirror that makes the product convenient to use. The palette consists of 5 shades starting with Ivory at the top, followed by Champagne, Gold, Rose Gold and Copper. 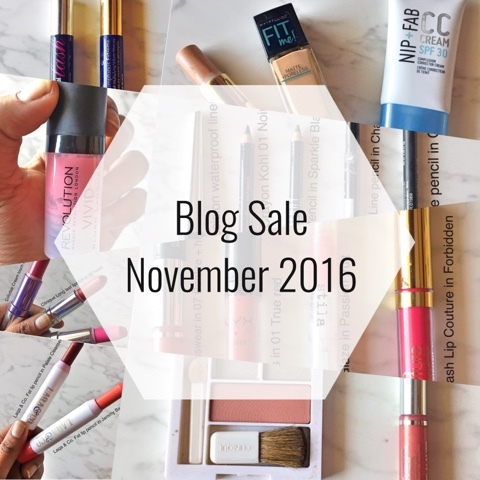 Even though this product is mainly considered as a highlighter, all these shades work well as eyeshadows too. 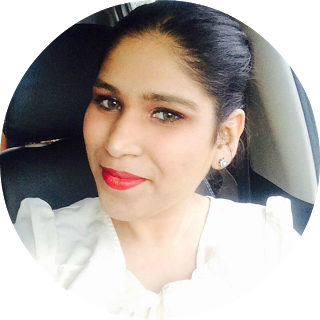 On application, the product is smooth and silky in texture and does not feel at all chalky or powdery. The color pay off of the product is uber good and you only need a single swipe to get a rich and intense finish. Also, the staying power of this product is 5-6 hours at least and is quite sufficient for me. Most of all I am in love with the fact that the shimmer particles in this product are finely milled and provide a healthy glow that is not at all OTT. I have even been complimented a few times when I wore this. All the shades in this palette are beautiful but if I have to pick my favorites, I think the Gold shade looks best as a highlighter while as the Copper, Champagne and Ivory shades work well to give a brown smokey eye look. Overall Verdict: On a whole, I am quite happy with the product in terms of staying power, formula, pigmentation, however in terms of packaging if they had to include a brush, it would have made the product travel-friendly too. Have you tried the Bobbi Brown Shimmer Brick in Bronze? Which is your favorite highlighter at the moment?